Our next speaker on Startup-O Vitamins series is David Ng, Group CFO of MiRXES. 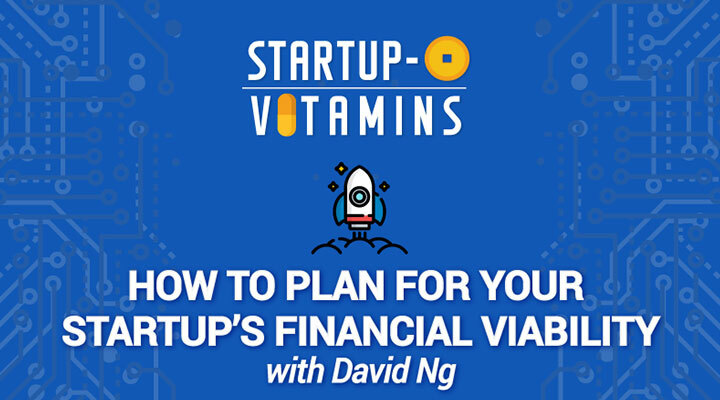 In the video below, we discuss how you can plan for your startup’s financial viability. Whether you’re at the venture stage or angel stage or series A or B, I think in a strong founder team, executional excellence stems from a whole, complete set of capabilities. There’s obviously the technical aspects and knowledge, especially if you’re talking about a software company, but that capability should extend into your understanding of the financials and go-to-market issues. Break down executional issues into key milestones. So while there’s an emphasis on broad general management capabilities and competencies, I think what is more important is understanding that even if there’s a hundred things to do every week, a good management team will know what are the key milestones for that week, fortnight and month. Therefore, they should be able to break down all the executional issues into 2 or 3 key milestones and ensure that the problems and solutions are communicated very clearly to the rest of the team, stakeholders and to potential investors. Be honest about missing targets and analyse why. Being very clear about where the company is at, what is going to be done and by when, is fundamental to the founding team. Also, founding teams need to honest about why they didn’t hit 1 or 2 targets and be able to analyse why. I think that element of honesty, combined with very clear milestone planning, for me, underpins a whole lot of other issues around the founding team. It talks to their wider business knowledge, and also shows their awareness of their need to be time-oriented about hitting milestones.